Lucas has chosen release another track from The Lucas Sader Project's debut album Apollo: Tribute to the Miles Davis Quintet, the group's rendition of "Stella By Starlight", in memory of his friend Nick Voyer-Taylor. "Nick, you will always be one of my oldest and dearest friends. Growing up, you were always there for me, as I was for you. We went through so much together. You will forever be missed by many, including me. I could never thank you enough for your support over the years. This track is for you. Rest in peace, Nick. Your friend always. - Lucas"
"Stella By Starlight" written by Victor Young/Ned Washington. Arranged by The Miles Davis Quintet. Published by Catharine Hinen Music/Sony ATV Harmony (ASCAP). Produced by Lucas Sader. Click below to hear the three singles from The Lucas Sader Project's debut album, "Apollo: Tribute to the Miles Davis Quintet. "Apollo" written by Lucas Sader. Published by Lucas Sader Music (SOCAN). "Eighty-One" written by Ron Carter/Miles Davis. Published by Retrac Productions/Jazz Horn Music (BMI). "Moonrise" written by Lucas Sader. Published by Lucas Sader Music (SOCAN). 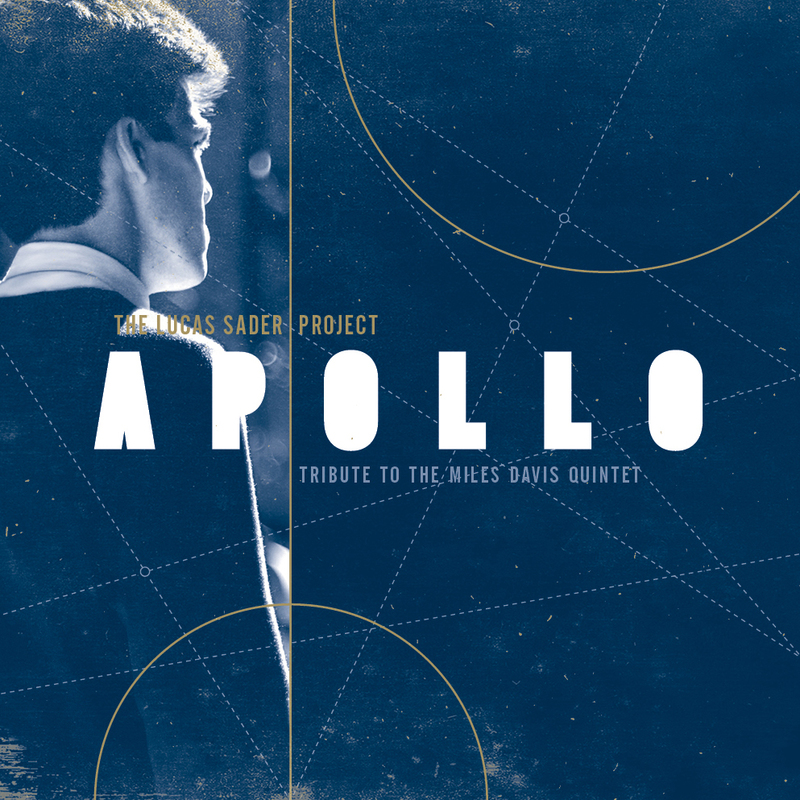 Cover for The Lucas Sader Project's debut album, "Apollo: Tribute to the Miles Davis Quintet". Designed by John Funk at Underscorefunk Design. Recorded on June 29th, 2012, at Musirex Studios in Winnipeg, Manitoba, Canada. Recorded and Mixed by Larry Roy. Mastered by Jordan Jackiew at Resosound Productions. Lucas Sader Music would also like to acknowledge the support of Manitoba Film and Music, FACTOR Canada, the Government of Canada through the department of Canadian Heritage (Canada Music Fund), and of Canada' Private Radio Broadcasters in the production of the album. Please send any requests for promotional information, including tracks for airplay, to contact@lucassadermusic.com.